Avoid the hassle of storing and untangling your earbuds with TurtleCell, an innovative new smartphone accessory. TurtleCell’s full length headphone cord and remarkably thin profile will change your expectations for a protective case. At TurtleCell we believe that music on your smartphone’s should be a simple and enjoyable experience. Unfortunately our pockets, purses, backpacks and briefcases don’t agree. Headphones magically turn into a tangled mess wherever we try to store them…. That’s why we designed the TurtleCell to Untangle Your Life! Earbud storage is no longer an issue with TurteCell. The retractable cord is neatly wound in the case. All in only 1/4 inch of added thickness. We decided that you deserve an above average audio experience, so we built in the buds to provide that. Our headphones would retail for $40 just by themselves. When you’re done rocking out, simply press the upper button to store them away. The full length cable easily retracts and is stored tangled free within the case! The clean lines, long curves and simple elegance of the TurtleCell case was designed to compliment your phone’s style while adding minimal volume. Along with its slim size, the case is effortless to assemble. 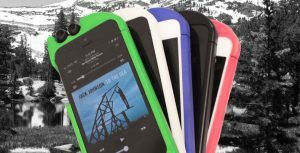 Simply slide the phone into the bottom portion and attach the top cover via two secure notches. When removing your smartphone, the top cover remains attached via the earbuds so that it is never lost. The button to the bottom right is used to connect and disconnect the earbuds from your phone. Snap it up and the audio signal is directed to the earbuds. Snap it down and you can take a call or listen to your music out of the phone’s speakers. Full mechanical functionality means that you’ll never have to download an app or driver to enjoy this convenient audio experience. The button to the upper left is used to retract the earbuds. 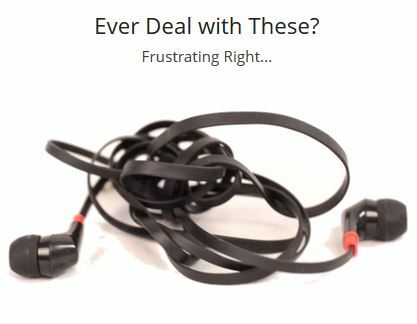 Push it up and easily pull the earbuds out to any comfortable length. The secure locking mechanism then holds this length even during intense exercise. Push the button up again to automatically retract. The locking mechanism is also engaged when retracted, so the earbuds are never accidentally removed during normal smartphone wear and tear. Some case companies force you to decide between boring black, stale silver, and worn-out white. At TurtleCell we see things a little differently… in Color! Choose from various vibrant shades of blue, pink, and turtle green! Naturally, we still provide sophisticated shades of black and white.